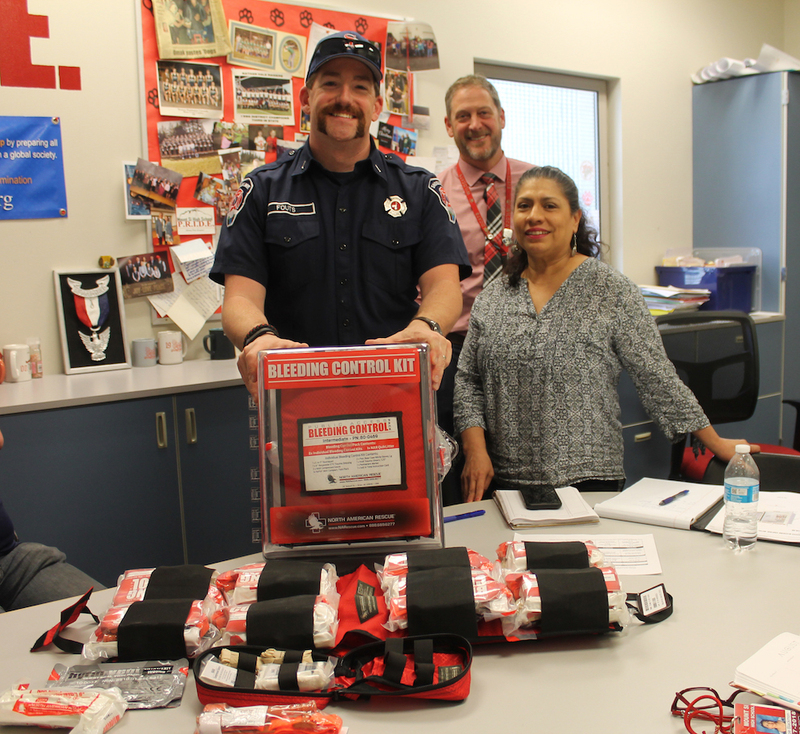 The Snoqualmie Firefighters Association recently announced it had received $11,700 from the Greater Snoqualmie Valley 100 Women Who Care for a Stop the Bleed Program in the Snoqualmie Valley School District. The organization is a collaboration of women who fund local nonprofit or charity organizations. Stop the Bleed teaches citizens first aid techniques designed to reduce loss of life from traumatic wounds. Developed by the American College of Surgeons and the Hartford Consensus Committee on Trauma, the program addresses life-threatening injuries such as those found in active shootings, giving first responding citizens a head start in emergency situations before professionals may be able to arrive. Additional funding supporting a Snoqualmie Stop the Bleed Program was provided by a regional prevention grant from the Central Region EMS and Trauma Care Council; the Snoqualmie Firefighters Association; Snoqualmie Valley Hospital; and the Snoqualmie Valley Kiwanis Club. The Snoqualmie Firefighters Association will focus on training school staff and students and make bleeding control kits available to any potential first responder. Funding will provide individual Stop the Bleed kits in each Mount Si High School classroom along with larger kits placed in common areas for all schools within the Snoqualmie Valley School District.